I have been asked to do one of these posts for some time now so I thought why the hell not. These products below are what I have listed and wanted for a while now and I have looked into them and they seem like something I would like because of the reviews. Kevyn Aucoin Sensual Skin Enhancer – Cult classic isn’t it?! That is my entire list for now and my real reasons why I want to buy them. 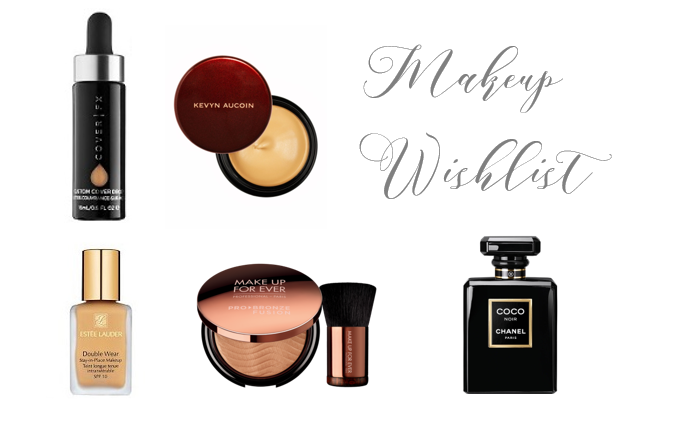 I am sure in the next coming months once I have these items that there will be a new wish list, and when there is I will share that with you as well! So, look out for the reviews coming up on these products and if you want to know when they will be just drop me a comment and I will get back to you! I love the CT brow lift in Cara and pillow talk they're such good products! The NARS creamy concealer is definitely on my wish list too, been wanting to try it for a long time! Oow now you've said that you love the Brow Lift and the Lip Cheat I am going to have to get them even sooner, not that it took much convincing!